Designing a supplemental benefits program for executive leadership within tax-exempt associations and other nonprofit organizations has never been more complicated than it is today. In addition to the traditional issues inherent with supplemental benefit plans, the passage of the Tax Cuts and Jobs Act imposes an excise tax on nonprofit organizations when any of their five highest-paid employees (or former employees) earn compensation over $1 million. This $1 million threshold includes a covered employee’s aggregate annual salary, supplemental benefits, and incentive payments. ASAE recognizes the impact these challenges have on nonprofit employers and is offering a solution to address these challenges through the ASAE-endorsed Executive Compensation Solution. 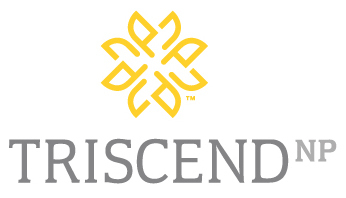 TRISCENDNP, LLC (Triscend), the endorsed provider for this solution, delivers a number of unique executive benefit solutions designed to provide for key executive retirement while ensuring funds are allocated in a way that supports the organization’s mission over the long-term. Triscend is also frequently engaged by nonprofit organizations to assist in the evaluation and restructuring of existing plans. In particular, Triscend has developed the CAP-EX Program to address these issues through its innovative design and use of life insurance policies coupled with a comprehensive client services platform. For a complimentary consultation, fill out the contact form below or contact David Wright at 972.318.1110 or dwright@triscendnp.com. The organization pays the premiums on two life insurance policies that are owned by the executive. 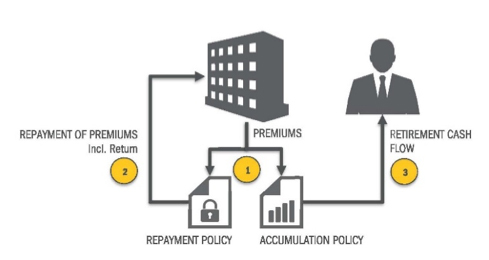 The Repayment Policy is designed to provide recovery of capital and interest to the organization. The Accumulation Policy is crafted to build cash value accessible by the executive for retirement or other future purposes. The premiums are treated as loans to the executive for tax purposes only and are, therefore, not considered as compensatory for purposes of the excise tax. The organization recovers its capital plus return in the future. The organization replaces a benefit expense with an asset and other income. The executive has access to advantaged cash flow through life insurance policy loans from the Accumulation Policy. Can be designed to provide death benefit protection for executive’s beneficiaries. 1Triscend does not provide tax or legal advice. Organizations and participating executives should seek independent advice on these matters.